Our team of Forensic Electrical Engineers should be your next expert witness. Let our many years of experience help you make your case. Dr. Patton, founding expert witness, received the BS in Electrical Engineering from The University of Texas at Austin in 1957, the MS in Electrical Engineering from the University of Pittsburgh in 1961, and the PhD in Electrical Engineering from Texas A&M University in 1972. He is a Registered Professional Engineer in the State of Texas holding license number 25077. 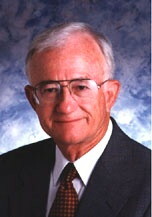 He is a Life Fellow of the Institute of Electrical and Electronics Engineers cited for contributions to electric power system reliability analysis and assessment and was awarded the IEEE Richard Harold Kaufmann Award in 2000 for contributions to power system reliability analysis and its application to industrial power facilities. He is a member of the National Fire Protection Association and the National Association of Professional Engineers. Dr. Singh recieved his education from multiple establishments, mainly: Ph.D., Electrical Engineering, University of Saskatchewan, Canada. MS, Electrical Engineering, University of Saskatchewan, Canada. He also received his B.S. (Honors), Electrical Engineering, Punjab Engineering College, Chandigarh, India. 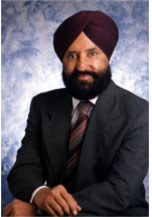 Dr. Singh has been an expert witness for many years. 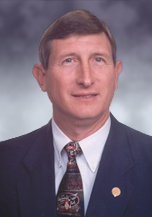 He spent many years as an educator, consultant, has worked on government and industrial applications, and received many award throughout his career.